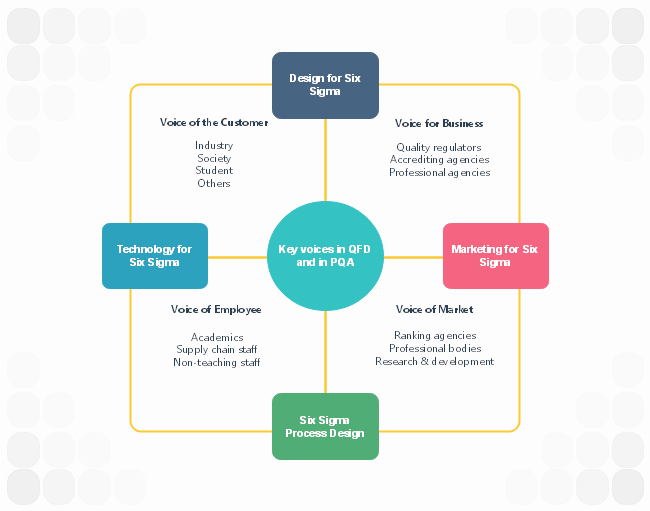 Description: The Six Sigma Roadmap template shows the voice of customer, business, employee and market. You can download and use this template to create similar diagrams. The content, color and size can be modified according to your own need.